Each episode of Inclusive Technology 4 All will bring you information about Inclusive and Assistive Technology to increase independence. In this bonus episode: #ATIA19 Transition Town Hall For more information, visit mmatp.com/it4all for the show notes for this bonus episode. Each episode of Inclusive Technology 4 All will bring you information about Inclusive and Assistive Technology to increase independence. In this episode: #ATIA19 Reflections Share your experience: http://bit.ly/atia19reflections #ATchat Update: 1/30/19 For more information, visit mmatp.com/it4all for the Episode 29 show notes. Each episode of Inclusive Technology 4 All will bring you information about Inclusive and Assistive Technology to increase independence. In this episode: On the road to FETC and ATIA / Coding Opportunities for individuals who are visually impaired For more information, visit mmatp.com/it4all for the Episode 28 show notes. Each episode of Inclusive Technology 4 All will bring you information about Inclusive and Assistive Technology to increase independence. In this episode: Share your ideas - ATIA session iPad Vs. Chromebook: The 10 Round Main Event Resources: CALL Scotland Posters Instagram A11Y Update Save the Date! 3rd Annual NJ Assistive Technology Summit #ATchat Update: 1/16/19 For more information, visit mmatp.com/it4all for the Episode 27 show notes. Each episode of Inclusive Technology 4 All will bring you information about Inclusive and Assistive Technology to increase independence. In this episode: Share your ideas - ATIA session iPad Vs. Chromebook: The 10 Round Main Event #ATchat Update: 1/9/19 Topic: AT supports for writing For more information, visit mmatp.com/it4all for the Episode 26 show notes. Each episode of Inclusive Technology 4 All will bring you information about Inclusive and Assistive Technology to increase independence. 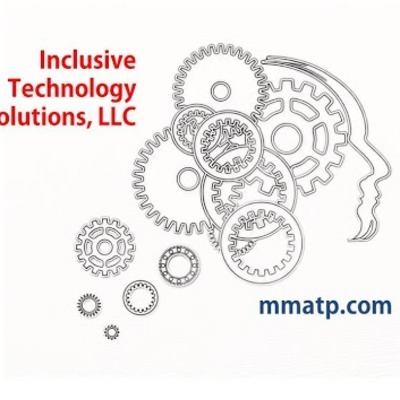 In this episode: Tech Tool Spotlight x 2: Aida Reminder app Tab Resize Chrome Extension Check out: Explore AT from AT3 Center AbleNet University #ATchat Update: 12/19/18 Topic: The New Assistive Technology with special guest Chris Bugaj (@attipscast) For more information, visit mmatp.com/it4all for the Episode 25 show notes. Each episode of Inclusive Technology 4 All will bring you information about Inclusive and Assistive Technology to increase independence. In this episode: Tech Tool Spotlight: Google for Education Updates Program a Progress Bar in Google Slide presentations Locked Google Forms Watch: Children’s Screen Time Action Network Webinar - Are Apps Manipulating Kids #ATchat Update: 12/12/18 Topic: AAC Issues and Trends with special guest Carole Zangari For more information, visit mmatp.com/it4all for the Episode 24 show notes. Each episode of Inclusive Technology 4 All will bring you information about Inclusive and Assistive Technology to increase independence. In this episode: Tech Tool Spotlight: Story Speaker Google Docs Add on Tech Tool Spotlight: Reading Disability Screening App #ATchat Update: 12/5/18 Topic: Moving Beyond Technology for Reward and Reinforcement For more information, visit mmatp.com/it4all for the Episode 23 show notes. Each episode of Inclusive Technology 4 All will bring you information about Inclusive and Assistive Technology to increase independence. In this super sized episode: Tech Tool Spotlight: The Write AT & Apps for Notetaking #ATchat Update: 11/28/18 Topic: Open Forum! For more information, visit mmatp.com/it4all for the Episode 22 show notes. Each episode of Inclusive Technology 4 All will bring you information about Inclusive and Assistive Technology to increase independence. In this super sized episode: Tech Tool Spotlight: eBook Conversion Guide Resources You Can Use: Edcamp NJ 2018 Let’s Hear From You: PD, Tools & Thanks! Special Guests: Maureen Tumenas, Chris Bugaj, Beth Poss, Michael Roush and Hillary Goldthwait-Fowles #ATchat Update: 11/21/18 Topic: Let’s Give Thanks - No chat For more information, visit mmatp.com/it4all for the Episode 21 show notes. Each episode of Inclusive Technology 4 All will bring you information about Inclusive and Assistive Technology to increase independence. In this episode: PD on the Go: The Power of Podcasts! Tech Tool Spotlight: Explore AAC website Tech Tool Spotlight: Wonderscope Augmented Reality iOS app #ATchat Update: 11/14/18 Topic: Tech for Students with Intellectual Disabilities For more information, visit mmatp.com/it4all for the Episode 20 show notes. Each episode of Inclusive Technology 4 All will bring you information about Inclusive and Assistive Technology to increase independence. In this episode: WeVideo Digital Storytelling Toolkit Tech Tool Spotlight: Slice Planner #ATchat Update: 10/24/18 Topic: The AT + Maker Connection! For more information, visit mmatp.com/it4all for the Episode 19 show notes. Each episode of Inclusive Technology 4 All will bring you information about Inclusive and Assistive Technology to increase independence. In this episode: Tech Tool Spotlight: Shortcuts iOS App Tech Tool Spotlight: Touch Blocker App for Android #ATchat Update: 10/24/18 Topic: Live from the International Dyslexia Association Conference #DyslexiaCon18 For more information, visit mmatp.com/it4all for the Episode 17 show notes. Each episode of Inclusive Technology 4 All will bring you information about Inclusive and Assistive Technology to increase independence. In this episode: Tech Tool Spotlight: Voice Access Android App Accessibility at a Glance video series from Microsoft #ATchat Update: 10/17/18 Topic: Designing for Accessibility with POUR For more information, visit mmatp.com/it4all for the Episode 16 show notes. Each episode of Inclusive Technology 4 All will bring you information about Inclusive and Assistive Technology to increase independence. 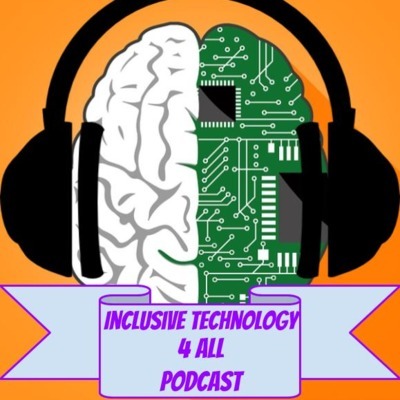 In this episode: Tech Tool Spotlight: Presentation Translator for Powerpoint Exploring Built in Accessibility features #ATchat Update: 10/10/18 Topic: Curriculum, Modifications and Accommodations For more information, visit mmatp.com/it4all for the Episode 15 show notes. Each episode of Inclusive Technology 4 All will bring you information about Inclusive and Assistive Technology to increase independence. In this episode: 2018 NJ Assistive Technology Summit Keynote Spotlight: Nick Foley #ATchat Update: 10/3/18 Topic: If I Could Change One Thing About ... For more information, visit mmatp.com/it4all for the Episode 14 show notes. Each episode of Inclusive Technology 4 All will bring you information about Inclusive and Assistive Technology to increase independence. In this episode: Accessible Educational Materials #ATchat update: 9/19/18. Topic: Open Forum! For more information, visit mmatp.com/it4all for the Episode 12 show notes. Each episode of Inclusive Technology 4 All will bring you information about Inclusive and Assistive Technology to increase independence. In this episode: Inclusive Employment Practices (IEP) in the Workplace #ATchat update: 9/12/18. Topic: Siblings and Peer Support for AT For more information, visit mmatp.com/it4all for the Episode 11 show notes. Each episode of Inclusive Technology 4 All will bring you information about Inclusive and Assistive Technology to increase independence. In this episode: Microsoft introduces AI for Accessibility Google Docs add-on Kaizena #Atchat update For more information, visit mmatp.com/it4all for the Episode 2 show notes. Each episode of Inclusive Technology 4 All will bring you information about Inclusive and Assistive Technology to increase independence. In this episode: Tech Tool Highlight: Yo Teach! From Palm Quality Indicators for Assistive Technology Services #ATchat update: 9/5/18 For more information, visit mmatp.com/it4all for the Episode 10 show notes. Each episode of Inclusive Technology 4 All will bring you information about Inclusive and Assistive Technology to increase independence. In this episode: Start the School Year by Thinking Inclusive Tech Tool Highlight: The CTD AT Keyring #ATchat update: 8/29/18 For more information, visit mmatp.com/it4all for the Episode 9 show notes. Each episode of Inclusive Technology 4 All will bring you information about Inclusive and Assistive Technology to increase independence. In this episode: Tech Tool Highlight: Anchor Podcast app for iPad Microsoft continues to support ALL learners #ATchat Summer Book Study x 2! 2018 New Jersey AT Summit The Raspberry Pi Foundation #picademy For more information, visit mmatp.com/it4all for the Episode 8 show notes. Each episode of Inclusive Technology 4 All will bring you information about Inclusive and Assistive Technology to increase independence. In this episode: Tech Tool Highlight: Apple Pages iOS app Making Sense of Open Education Course #ATchat Update: 6/13/18 #ATchat Summer Book Study x 2! For more information, visit mmatp.com/it4all for the Episode 7 show notes. Each episode of Inclusive Technology 4 All will bring you information about Inclusive and Assistive Technology to increase independence. In this episode: Intel announces Compute Stick CS125 portable computer Tech Tool Update: LipSurf Chrome Extension Tech Tool Update: Dotstorming #ATchat Update #ATchat Summer Book Study x2! For more information, visit mmatp.com/it4all for the Episode 6 show notes. Each episode of Inclusive Technology 4 All will bring you information about Inclusive and Assistive Technology to increase independence. In this episode: Researchers develop technique to turn any item into a touchscreen US Dept of Education new Website Accessibility Initiative Spreading the Word About AT and UDL Hybrid Course Tech Tool Highlight: Flippity.net and Touch and Learn Emotions. #ATchat Update #ATchat Summer Book Study x 2! 2018 New Jersey Assistive Technology Summit For more information, visit mmatp.com/it4all for the Episode 5 show notes. Each episode of Inclusive Technology 4 All will bring you information about Inclusive and Assistive Technology to increase independence. In this episode: Virtual training opportunity from The National Center on Accessible Educational Materials New apps from Google to support individuals with disabilities #ATchat update Announcing the 2nd Annual New Jersey Assistive Technology Summit For more information, visit mmatp.com/it4all for the Episode 4 show notes. Each episode of Inclusive Technology 4 All will bring you information about Inclusive and Assistive Technology to increase independence. In this episode: Global Accessibility Awareness Day Bookshare introduces Word format downloads Tobii leads way for plug and play eye tracker hardware For more information, visit mmatp.com/it4all for the Episode 3 show notes. Each episode of Inclusive Technology 4 All will bring you information about Inclusive and Assistive Technology to increase independence. In this episode: What to expect with this podcast #Atchat update For more information, visit mmatp.com/it4all for the Episode 1 show notes.